Memorable Wedding: Plus Size Wedding Dress Or Plus Size Wedding Gown, Are They Both the Same Thing? 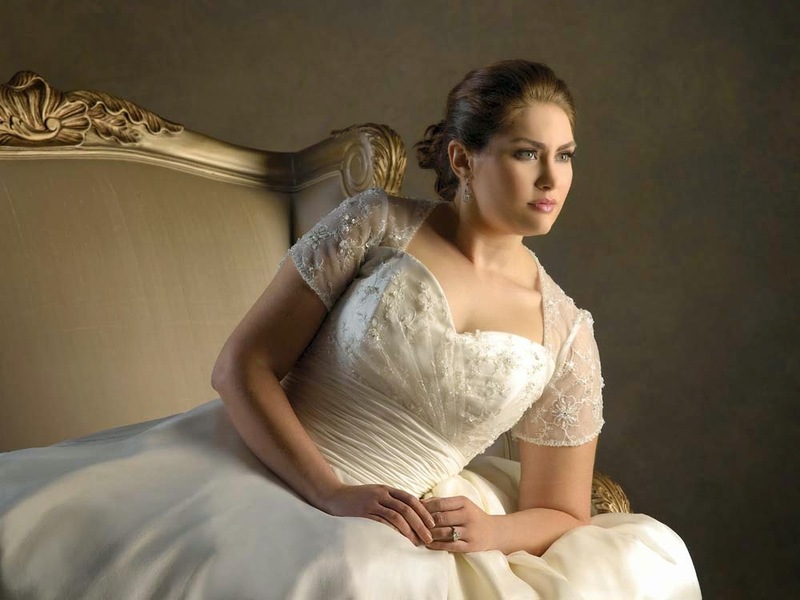 Plus Size Wedding Dress Or Plus Size Wedding Gown, Are They Both the Same Thing? Nowadays, a plus size wedding gown is as common as any size wedding gowns. Any plus size woman can actually shop for one right off the cart, both online and on site. A lot of designs can be found at your local bridal boutiques and shops that are size 14 a 16 or larger. Even regular bridal boutiques have plus size wedding gowns in their collection. A lot of bridal boutiques that are dedicated to plus size wedding garments sell gowns that specially cater to plus size brides. 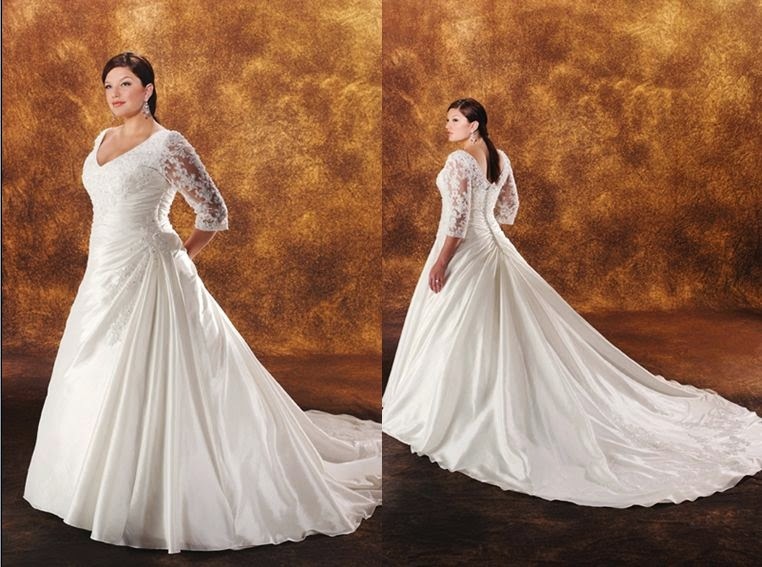 The Internet too is an excellent place to look for information on plus size wedding gowns. One can browse through the available sites by typing in keywords and order online or locate their stores and designers and set up appointments to visit their shop. You can have certain styles altered to suit your specific taste. Finding the perfect wedding gown can take time and it would do you good to give it ample time. You will also have to work within your budget and of course, those accessories. Generally, a good tip in finding your perfect plus size wedding gown is to find out what designs and style will look good on you. The A-line dresses will flatter your already voluptuous figure while a V-shaped neckline will flatter your frontal upper body. A full ballroom skirt would tend to make you look bulkier and a tea length dress can make appear squatty. Try putting on several gowns. Take into account that you will be most of the time during the ceremony standing in front and people will get to see more of your back. Try putting on gowns even they do not look real appealing on the shelf. It may stunningly perfect on you. Also, consider the place where the wedding is to take place. Very long or larger gowns can be unwieldy in confined areas. The fabrics and styles should also be considered. Different fabrics and styles will be needed for a winter and a different one for a summer ceremony. For summer weddings, light fabrics like a lace or chiffon and silk are ideal. For weddings that fall on cooler or colder climate, brocades or velvet and satin are some of the recommended choices. Fabrics and style will also have to be considered with type of wedding such as formal or semi-formal and casual. As always, bigger is always better when it comes to dresses and wedding gowns are no exception. Since it will be some time before the wedding, it will be smart to get a gown that is at lease one or two size higher since it will be easier to trim it down or give room if that should be the case.